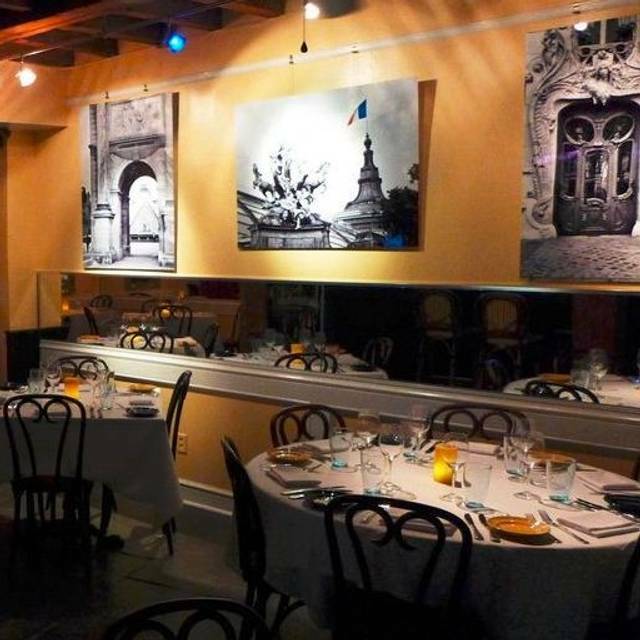 The Warehouse District’s only destination for farm to table Cajun Creole cuisine. 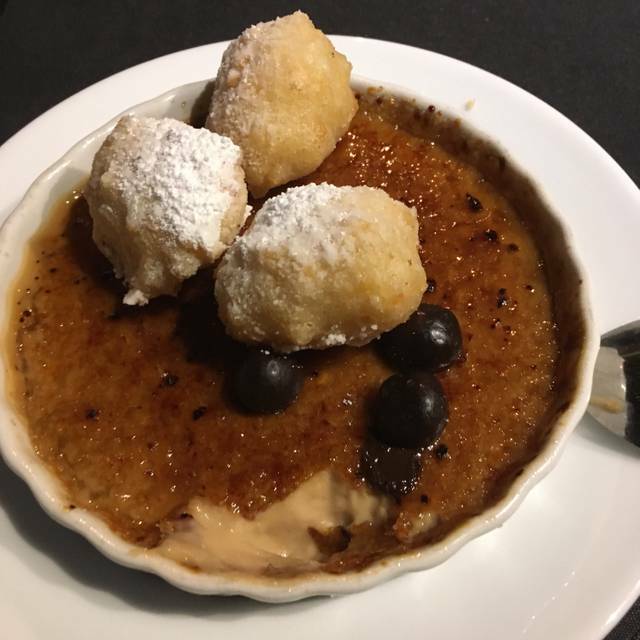 South Louisiana native Chef Ricky Cheramie creates food for the soul such as Mississippi Style Barbeque Pork Belly, Blackened Scallops with a lobster tasso maque choux, and Cafe Au Lait Creme Brulee with Calas and dark chocolate covered coffee beans. They also squeeze their own sugar cane juice for their simple syrup, sugar cane vinaigrette, and creole mustard sugarcane glaze. We wanted to try “better” Criole/Cajun, and this place surpassed our expectations. Everything we ordered was even better than we imagined! Definitely a cut or two above the typical fare. The service was extraordinary considering it’s a casual restaurant. We loved our server and his knowledge of the cuisine. In our 4 days in New Orleans this was the best we found, and it was not expensive at all. RECOMMENDED! LOVE this place. Will certainly return on any future trip to NOLA. Server was fabulous - descriptions, recommendations, attention to detail! The best! Really innovative and yummy use of local ingredients. Excellent food and dining experience. Always one of my go to restaurants when in town. Very knowledgable waiter. The cocktails, appetizers, entree’s, sides, and staff were all phenomenal. We were able to have a good time and get a little loud from time to time. My friends all were still talking about it the next day. I have been craving the veal for two days. We were in from out of town for business. The food was absolutely amazing! While we received good service, our server seemed a little scattered and unfocused. We enjoyed one of our best meals during a week-long food and music trip to NOLAat Rebirth. Out of the way and a little hard to find (even by our cabbie! ), it was definitely worth seeking out. Small and bustling (but not too noisy), a bit warm in the back corner (no a/c? ), we were only put off by the kitchen's requirement that we order our entire meal at once (we usually prefer to order a couple of apps then see how we're doing). 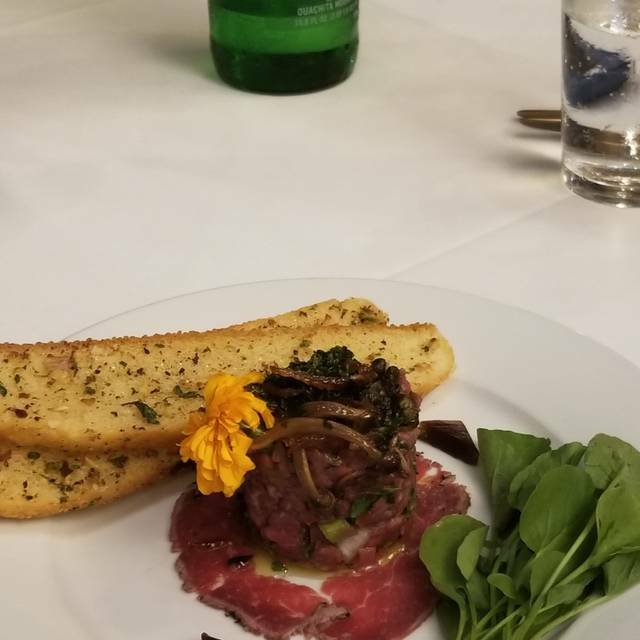 The fillet mignon tartare and carpaccio was a brilliant combination, beautiful to look at and delicious. The quail app stuffed with foie gras boudin was equally good - the pickled mustard seeds that accompanied it were a delightful burst of flavor. A last-minute addition of a cup of their country gumbo (after overhearing another waiter describe it as the best in town) was a wonderful and rich combination of chicken, andouille and Tasso in a deeply-flavored dark stock. The duck Bajeux (order medium-rare!) and blackened scallops were both delicious but suffered from a few too many accompanying side elements which confused our palates with a few too many flavors. We will definitely return and recommend Rebirth. Food and Service were excellent, and I will for certain be back many times. Waiter difficult to understand but the food was outstanding!! 2nd time here. Great all around. All 3 courses and service perfect. Nothing else to say and wont dent your wallet. Most amazing food experience in New Orleans! Nice ambiance. The cornbread and fish were dry, sadly. Excellent, we had the Pork Belly, Pork Chops and 22oz Bone N Ribeye (best of show). BRAVO!!!! We started with the fried okra, then each had the gumbo. Unbelievable! I had the oysters and angel hair. OMG! So wonderful! My husband ordered the duck. Very nice! This is a MUST Do for this part of New Orleans! 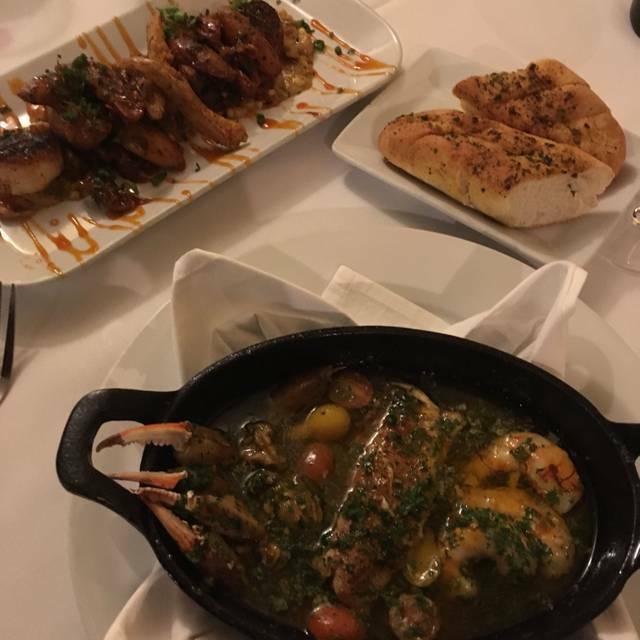 There are so many amazing options on the menu that we had a very hard time deciding on what to order! We will definitely be back for more! 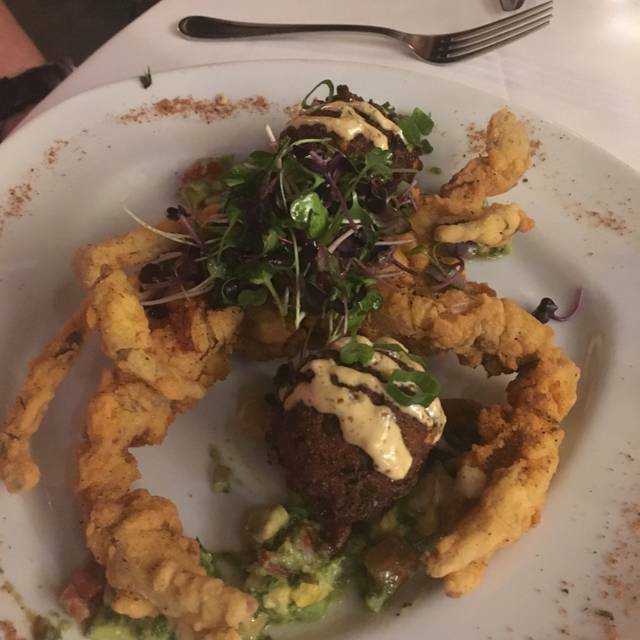 Great authentic New Orleans food, friendly and knowledgable staff... one of owners came to table to make sure our experience was good. We’d go back! This is hands down, The best gumbo in the world , the best slow cooked pot ever!!!!! Thank you, I cried happy tears at the table over how good it was.....then came pork belly and I am speechless ...entrees and dessert hit a home run!...this may be one of the best meals I've had in several years! Thank you for the experience . I would go back in a heartbeat and reccomemend this place hands down as the best in the city. Food and service was outstanding. I really enjoyed the elevated southern cooking; it feels like a Commander's in the making. They had great recommendations for cocktails, and you could tell they were passionate about food. All gumbo has its place in my world, but theirs was truly outstanding. It also came out bubbling hot in a small cauldron which is really nice to have hot soup these days (I feel like there is a fear among restaurants nowadays of serving soup that is over luke warm). I found Restaurant Rebirth on google, I was looking for somewhere nice to eat for my birthday. I was thoroughly pleased the food was superb looking forward to coming back soon. From the moment we walked in we were treated like friends coming in to dine at their house. We had drinks, the country gumbo, farmhouse salad, grilled romaine w/fried oysters and everything was just delicious! For our mains, filet mignon, pork chop, duck bejeux and the veg plate de le soir. I was a little skeptical of the veggie plate as it sounded like it might be too 'busy', but the flavors and textures in that dish were amazing. Thank you to the owner and our server and all of the chefs in the kitchen...it was such a wonderful experience! In town for a business meeting and got lucky to get in for a meal the other day. Service was attentive, great wine list, outstanding food. Only thing to point out - the portions are very large. The restaurant is not very large so I'd recommend reservations for sure. We tried several appetizers to share that were all very good and a wild boar special was out of this world. Rebirth was exceptional. The meal, service and atmosphere were outstanding. The pork belly was incredible, not to be missed. Our service, Rae was enthusiastic, informative and delightful. A must when visiting NOLA. Best Gumbo, anywhere, ever. Food was outstanding, service was excellent, genuine, engaged, entertaining. The ambiance was nice - small and intimate. Our server was a bit odd but there's no law against that so that was fine (he may have thought that we were odd too!). The fried oyster salad that I had was good. The lettuce was grilled just right but could have used more dressing but I could have asked for that so no worries there. My husband liked his seafood chowder but I didn't care for it. I prefer a cream-based chowder. The cornbread was ok - would have been better warm. My husband had the scallops. Lots of different flavors going on there. It wasn't his favorite but the scallops were cooked perfectly and were a decent size. I had the mahi-mahi over a bed of gnocchi, greens, and vegetables. The fish was chewy on the outside and flaky on the inside. I thought that the outside was tough but overall decent flavor. However, the gnocchi, greens, and vegetables were virtually tasteless as was the broth that came with it. I would say that my meal was disappointing. When the waiter asked about my dish I told him that, to me, it was tasteless and that I didn't care for it. He seemed surprised and said in a slightly snarky tone, "I'll tell the chef that you thought his dish was tasteless." I told him that wasn't necessary as I was just ready to go. I did see what other people where eating and other things looked good. Fairly small menu. I had a drink that was very good, pineapple, mint & tequila but expensive - $13 for a small glass. Including tip our entire meal was $171. While I don't mind the price, I did feel that it was overpriced for a meal that I didn't like. We originally had reservations for GW Finns but canceled our reservation as we would prefer to patronize small local businesses. In this case, I wish we would have kept it. I am not recommending not going to Restaurant Rebirth but I am recommending that you read the menu carefully before making your selection. We’ve been eating our way through New Orleans for three days at all the “best” restaurants from world famous sandwich shops to world class brunch establishments. We did not not shop up here hungry (actually quite the opposite). The concluding comment from one member of group at the end of dinner, “this is it... this is the best food we’ve had.” No one could deny it. Outstanding dinner! Absolutely everything was well done, delicious, fresh and interesting. Terrific service. Great wine and cocktails as well. Amazing food and friendly service. I'll definitely go back. BTE the Tartar was great! The food was above and beyond what we expected. The shrimp wrapped in eggplant was outstanding. The duck was cooked to perfection and should be a must for anyone who enjoys it. The Cajun style scallops were awesome. We definitely will revisit Rebirth on our next trip. My wife and I agree that this is one of the nicest meals we have had in a few years. The door was excellent - a good variety on the menu, lots of gluten free options and a good quantity as well. Service was good and we both thought it was well worth the money. Absolutely delicious! We were there a long a while, but it certainly didn’t feel like it! Food was phenomenal and the staff were delightful. Will definitely return. AMAZING. We're definitely planning on going back! 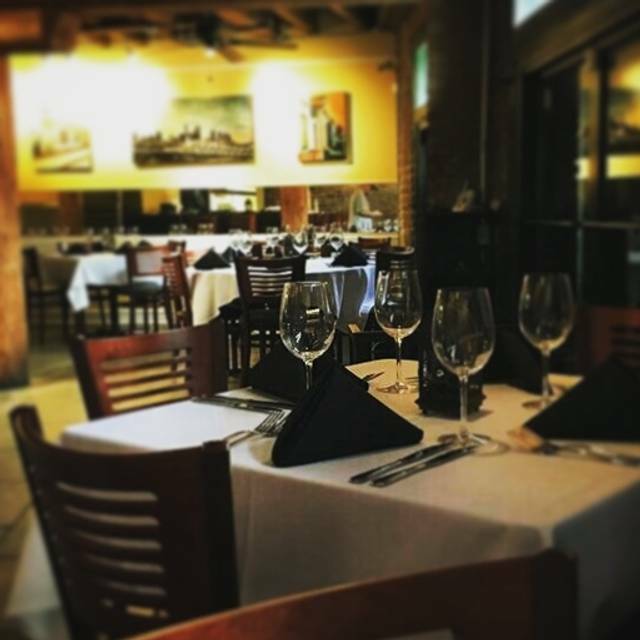 Great service, outstanding food, in a cozy dining room. They don’t need any help from me but they are amazing!! Service is impeccable and the food is outstanding! We LOVE that restaurant and always choose it when in NOLA!! The food is Rich & I live in Louisiana! Very flavorful!! Just order wisely... your eyes will be bigger than your tummies. 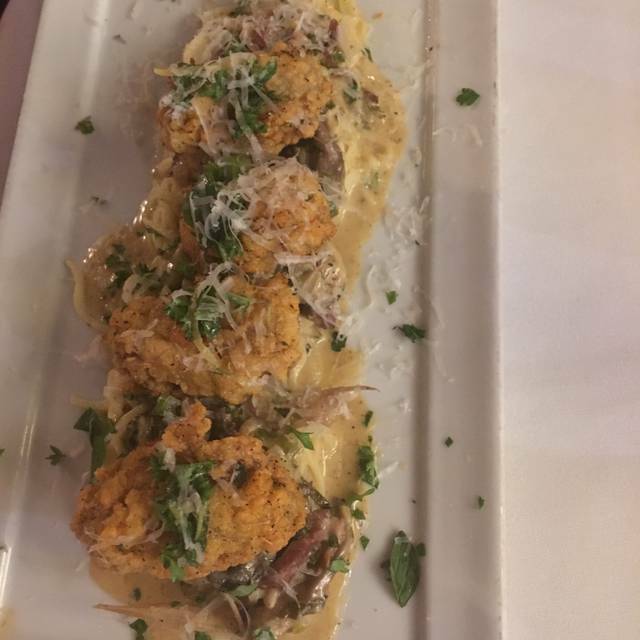 The oysters are Divine on the pasta & the grilled Romaines! Yum!! My stuffed fish was delicious! My husband kept coming back for more stuffing! Our Old fashioneds, delicious. From the cocktails I knew this restaurant was a great choice. 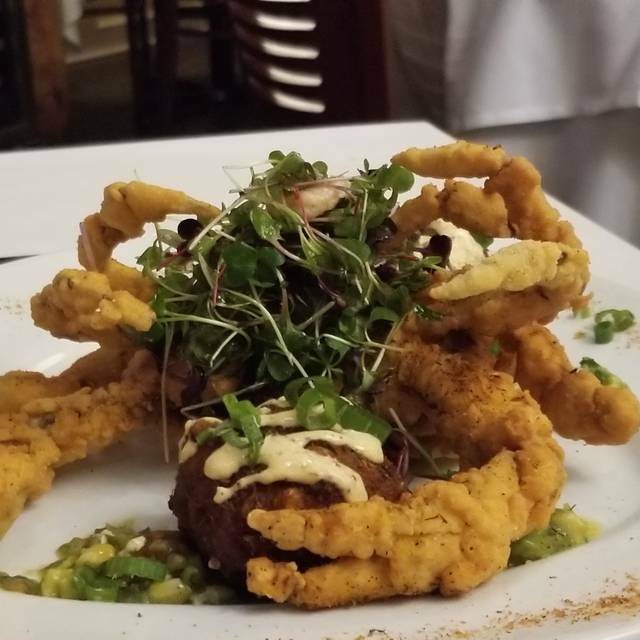 We found Rebirths reviews online and took a car there from French Quarter and they didn’t disappoint!! The food was amazing the waiter was knowledgeable the host was very attentive, highly recommend this restaurant! Execellent meals including delish dessert. God Bless the chef! Never disappoints, one of the best restaurants in New Orleans. 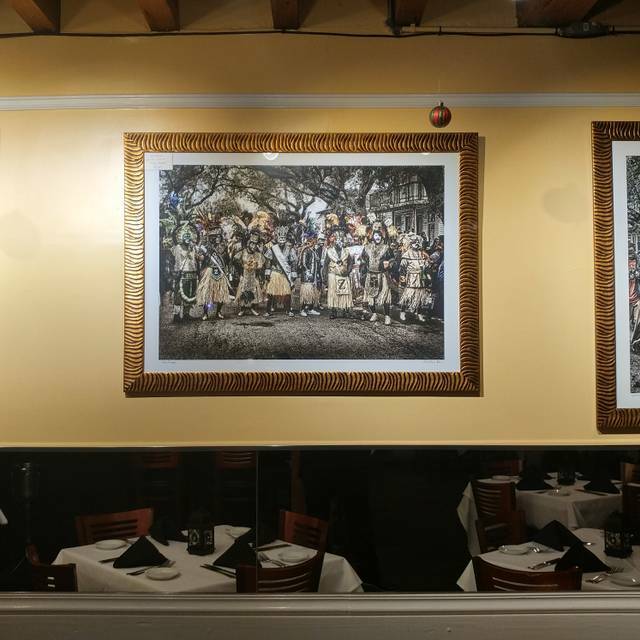 New restaurant in NewOrleans has new tastes along with some of the old cajun flavors. Works well!! This is the best restaurant we have experienced in NOLA. Highly recommend. In Warehouse District - young and hip, but also sophisticated. Exceptional food. Cudos to the chef!